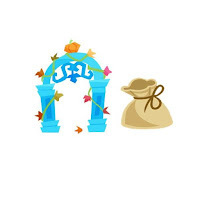 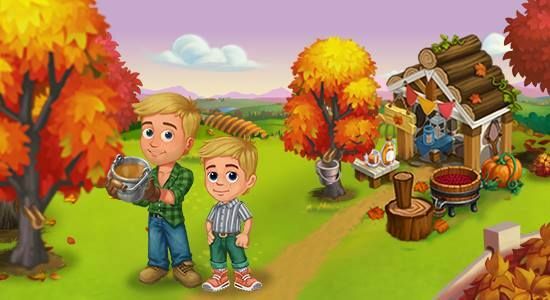 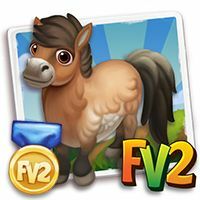 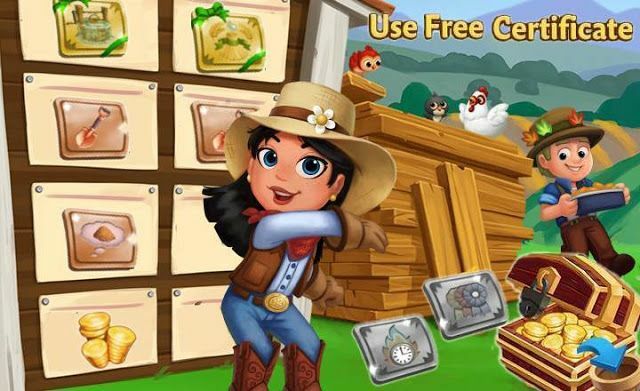 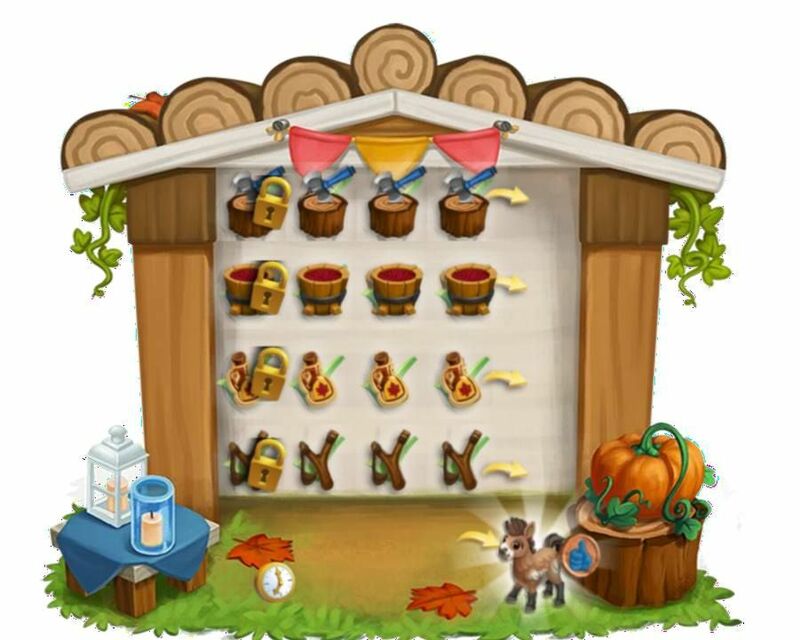 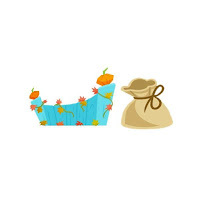 Home Farmville 2 Farmville 2 News Slider FarmVille2: Build Your Fiesta Cabin! 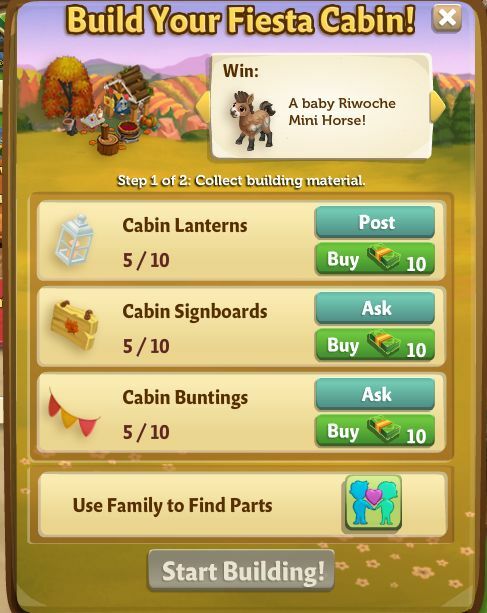 FarmVille2: Build Your Fiesta Cabin! 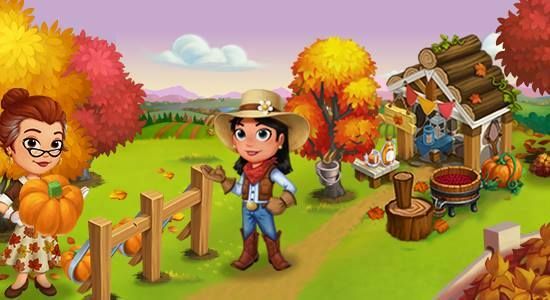 Fall-ing Into Place! 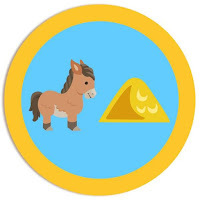 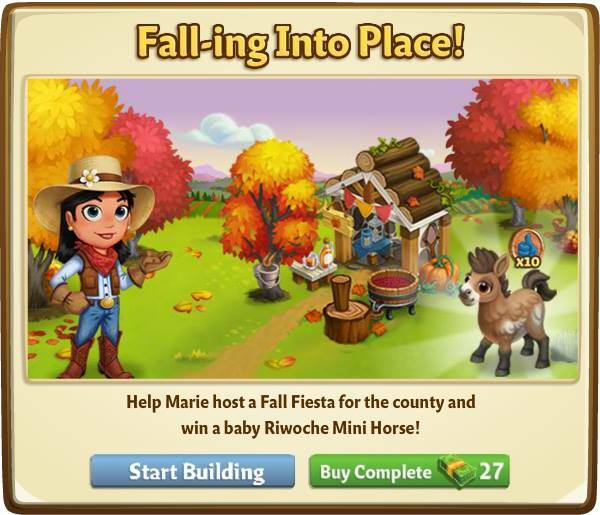 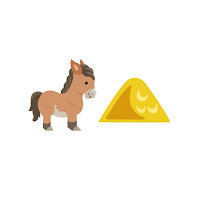 Help Marie host a Fall Fiesta for the county and win a baby Riwoche Mini Horse! 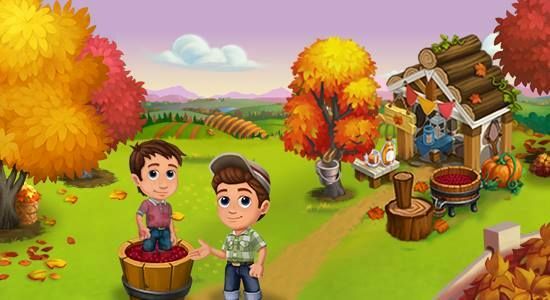 This fall has produced a great yield for our farmers! 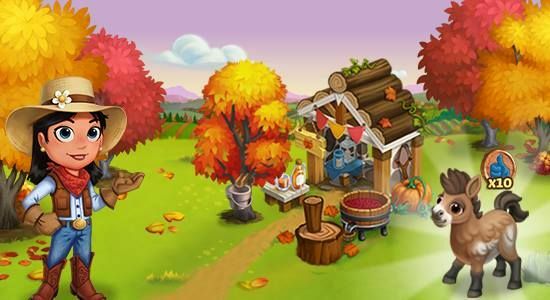 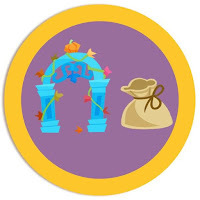 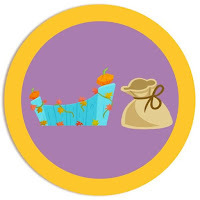 Let’s organize an outdoor autumn festival for the county before the winter chill sets in!